YouTube is one of the biggest video-sharing websites, which allows users to upload, view, share and comment on videos. With its easy-to-share characteristics, in recent years YouTube has gradually become a mainstream media to lead the trend of video watching & sharing. Nowadays many people search for hot videos on YouTube and watch them on their laptop. However, beyond watching YouTube videos on your laptop, you also have the option to move to the big screen of your TV. In this article we are going to show you 5 simple and easy ways to turn your TV into a full-scale big screen video player in Your home. 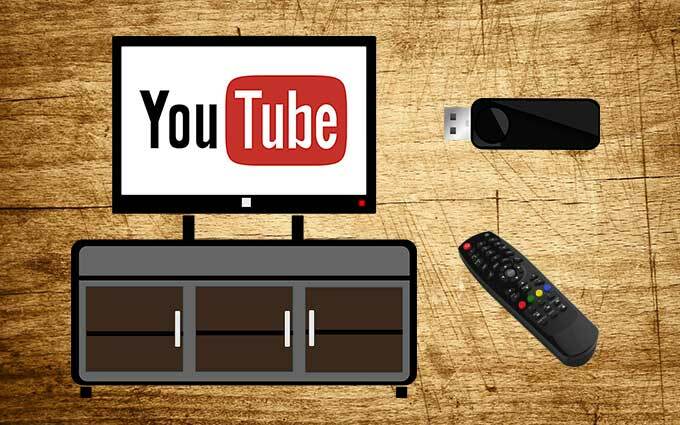 After deciding on using your TV, you need to start with connecting an external hard drive or a professional device to your TV in order to make them able to play your YouTube videos. If you prefer to use an external hard drive, there are three easy steps for you to follow. You can read about these steps in details later in this article. Step1. Browse for a YouTube video. Step2. Download and save the video. Step3. Play videos on TV. Besides that, you can also choose from more professional devices to upgrade your TV to play YouTube videos, such as Smart TV, Google Chromecast, Roku Box, or Amazon Fire TV Stick. In this post we are going to give you a brief introduction about each of these solutions, one by one, to develop a good overview about which one will fit your need. The easiest way to watch your videos on the big screen is to first download and save them onto an external hard drive. Although to some extent, using a physical device as an intermediate tool in the process is not that convenient, it is still a cheaper option than buying a professional device or a smart TV to be able to play YouTube videos on TV. Check out the steps below to learn how to download and save YouTube videos. Go to the official YouTube main page, find your video through the search panel, and play it on the website. Step2. Download and Save your Video. As YouTube does not provide a feature to save videos from its website, you need to choose a video downloading tool in the first place. 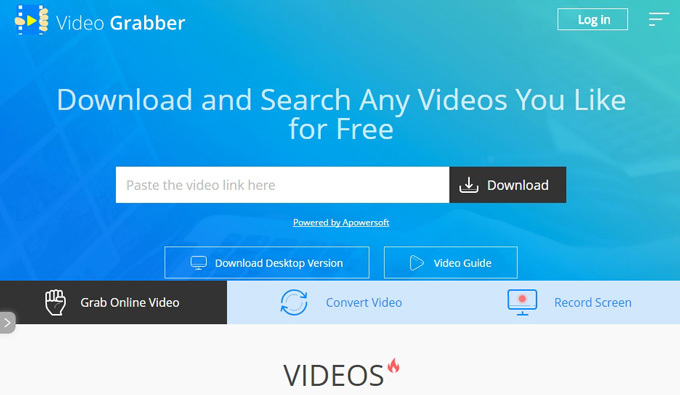 Video Grabber and Video Download Capture are simple and good options to do this trick, allowing you to just copy and paste the video URL to download it. Once you finished this step, you need to transfer the video to a hard drive in order to move it to the TV. You can click the button below to install Video Download Capture. After the file transfer is completed, you can connect the hard drive to your TV, and simply open your video via the controller on the screen. Among all the devices available on the market, in this article we hand-picked and recommend you 4 very simple-to-use and cheap solutions which can transform your TV into a multimedia player. Each of these tools is suitable for various activities, and all of them can help you YouTube watch on TV. If you are interested in permanently upgrading your TV, we summarized and compared these tools for you in the section below. Using a TV’s built-in brain to watch YouTube videos is a convenient way. Nowadays many smart TV already has a pre-installed app for watching online videos on it, where all you need to do is opening the app, and then loading YouTube to watch your video directly. 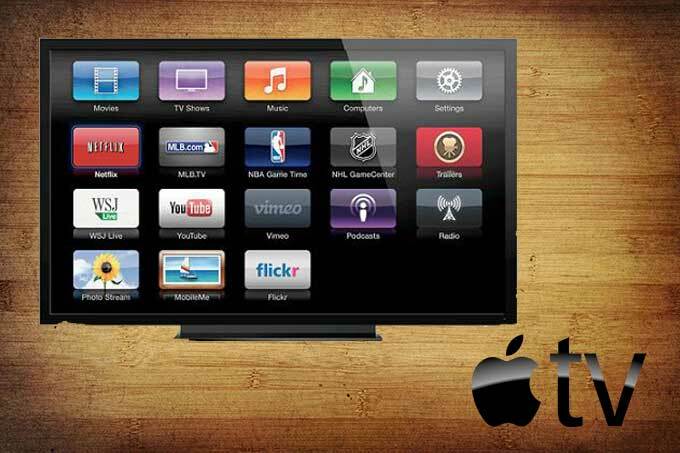 It is worth to be noted that Apple TV also makes it possible to access the YouTube channels, and you can prepare an Apple remote device to operate the TV while your video is being played. 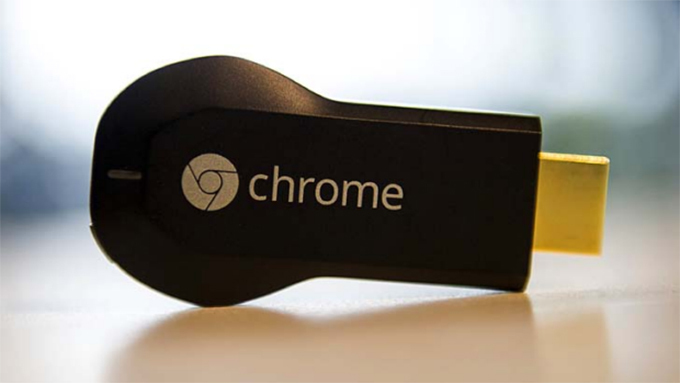 Google Chromecast is a device which can make it possible to access video content, and you can use your phone or tablet as remote control to navigate on the TV screen. In a very simple way, if you have purchased a Google Chromecast, you can plug it into your TV’s HDMI output, and then use your phone to go to YouTube and start video streaming. 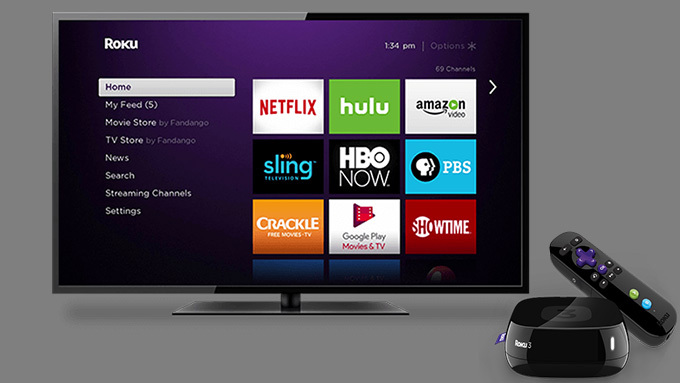 Roku Box is another useful device you can use to play YouTube videos on TV. You should create an account and log in every time you open it. After you logged in on the TV, you can go to settings, and search for the YouTube channel to watch the videos directly. 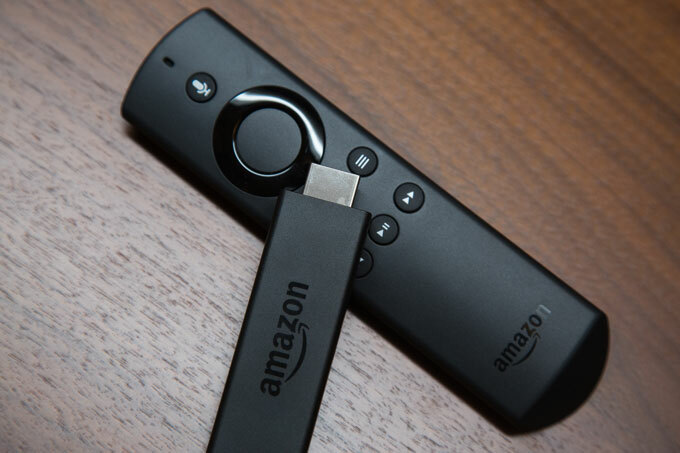 Amazon Fire TV Stick is a small tool that is similar to Google Chromecast, which can be plugged into the TV’s HDMI output. Because the Fire Stick streams video content from the internet via WiFi, users can watch videos from YouTube, Pandora, Hulu, Netflix, HBO GO, and so on, when they use this solution to upgrade their TV. Based on your interest and available budget, you have several options to play YouTube videos on TV. If you don’t want to invest into a physical device, then we recommend you to use a video downloader and an external hard drive to bring your video to the TV. In this case, the two video downloading tools which we mentioned above are both easy-to-use and recommended to have a try at them. However, if you prefer to use a professional device, you we advise you to compare these four devices between each other, and choose the most suitable one for your need.